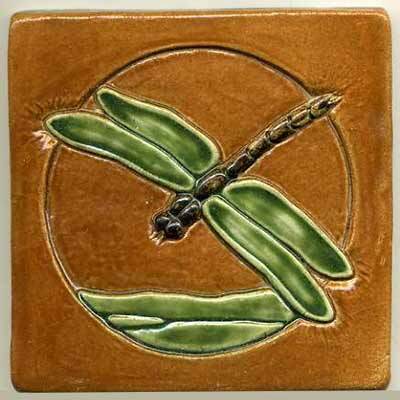 This Dragonfly tile comes in a 6" size with a sculpted surface. 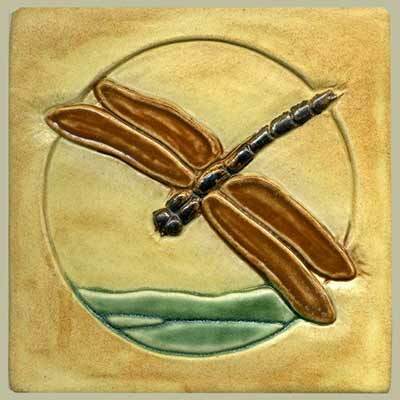 We can customize the color of the wings, hills and sky in multiple colors or glaze it in a single stain or color. 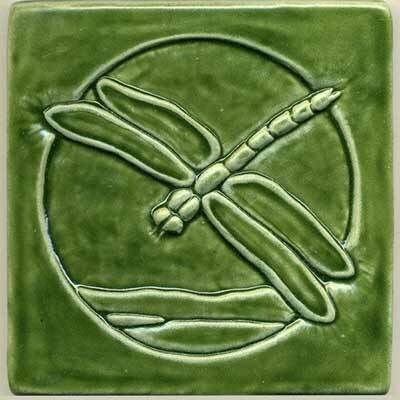 Colors shown: burnt orange background with spring green dragonfly; spring green single color; pharsalia background with burnt orange dragonfly.